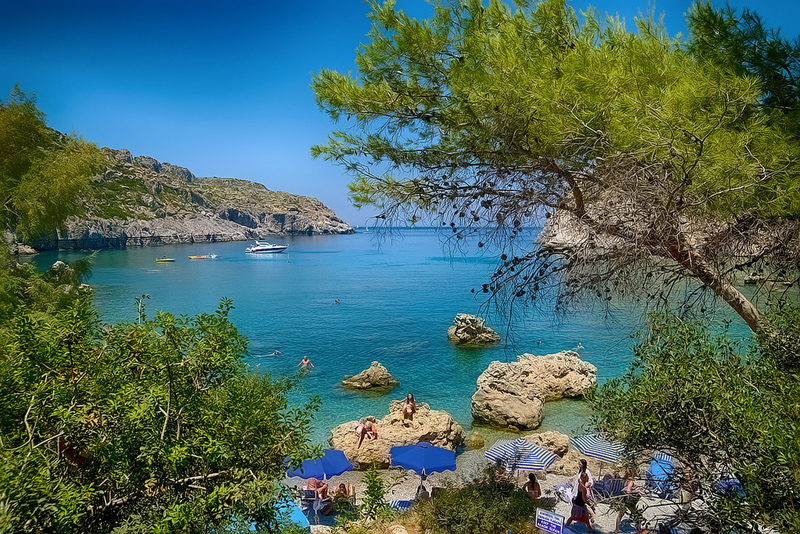 Located on the south-western part of the island of Rhodes, at about 72 km from the town center, Glyfada is a little known beach, ignored by the tourism. 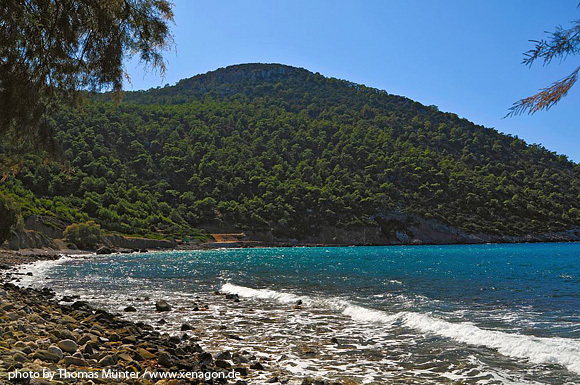 Not far from the village of Monolithos, it is a rocky beach with big pebbles, usually beaten by strong winds. It is surrounded by a unique physical scenery with many trees that reflect on the water a green color. It is ideal for those who want to avoid the crowds and enjoy the sun peacefully in an unspoiled environment. 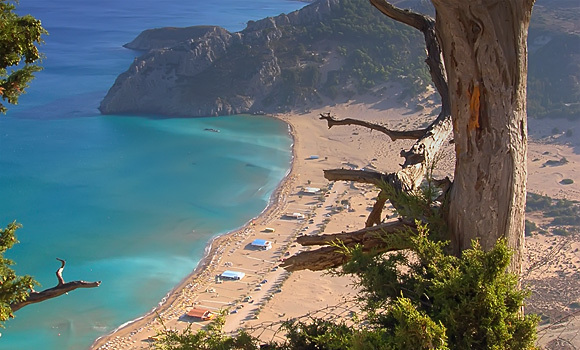 To get there you must follow the main west coast road and follow the signs for Kritinia village. 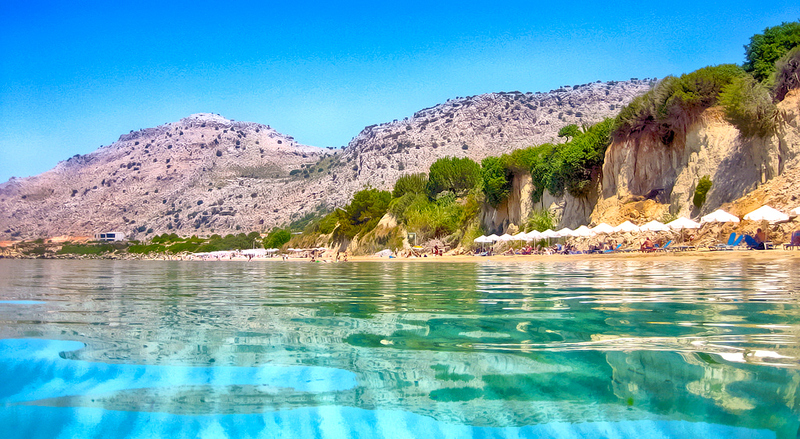 Just after 6 km (or 6 km before the village of Siana) you will see a sign to a side road that takes you to the beach. There are no facilities on this beach, only a couple of small taverns hidden by the rocks, where you can get food and drink.